Remarks: Wonderful Cozy Upgraded Richmond Federal Model with Rear Solarium Off Kitchen. All New Flooring Including 3 1/4 Butterscotch Hardwood Thru-Out Main Level, Freshly Installed Wall to Wall Carpet in Upper and Lower Level. New Granite Counters, Upgraded Light Fixtures. All New Interior Paint. 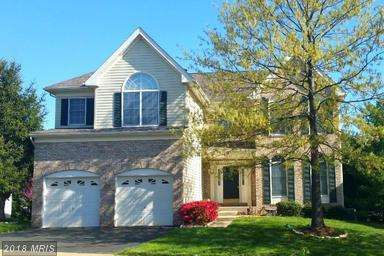 Professionally Maintained Landscaping, Two Walk-In Bay Windows, 9ft Ceilings, Finished Basement w/ Storage. Directions: From Fairfax County Parkway South, Right on West Ox Road, Left on Middleton Farm Road, Right on Horsepen Woods to 13304 on the Right.